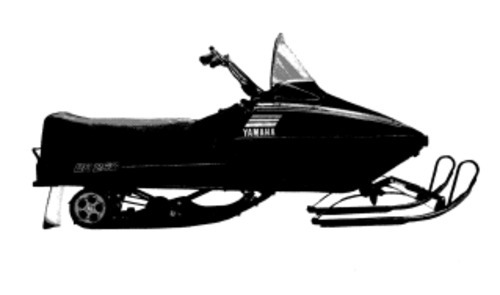 This is a COMPLETE Service & Repair Manual for the Yamaha VX500(E)U/STU/DXU, VX600(E)U/STU/DXU Snowmobile. This manual is very useful in the treatment and repair. This service manual has been written to acquaint the mechanic with the dis-assembly, reassembly, maintenance, and troubleshooting procedures required to provide optimum performance and longevity of the machine. All Manuals Are Windows 7, Vista32 and 64, XP, ME, 98, NT, 2000 Compatible And Work With Mac! This PDF file is Bookmarked and SEARCHABLE to make what you need easy to find. INSTANT DOWNLOAD means NO SHIPPING COST or WAITING FOR A CD OR PAPER MANUAL TO ARRIVE IN THE MAIL...YOU WILL RECEIVE THIS MANUAL TODAY VIA INSTANT DOWNLOAD ON COMPLETION OF PAYMENT VIA OUR SECURE PAYMENT PROCESSOR. WE ACCEPT ALL MAJOR CREDIT/DEBIT CARDS/PAYPAL.